At first Haley struggles with all the traditional Christmas Camp activities. It’s not until she finally allows herself to slow down, live in the moment, and let Christmas back into her heart, that she begins to grow closer to Jeff. But when he finds out Haley’s come up with a plan to help his dad save the struggling inn while he’s been trying to convince his dad to sell it, their relationship takes a serious holiday hit. Now it will take the magic of the season to bring these two hearts together. This is a very sweet and Christmas-rich tale. I felt that the majority of romance was about the season rather than the people, although Ben and Gail finding each other was very sweet. Haley and Jeff have interesting relationship potential, but I did find his love of family to be a little over the top. As a grown professional man, I found it difficult to imagine that years later, he was still that affected by his mother's death, and yet he wanted his father to leave their family home. I loved the idea of the Christmas Camp and the fun activities that went on there. The other guests were fun, and I could definitely see this as a great Christmas movie. It certainly put me in the mood for the upcoming festive season. 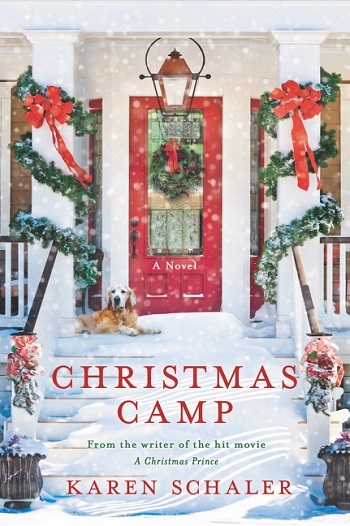 Reviewers on the Wicked Reads Review Team were provided a free copy of Christmas Camp (Christmas Camp #1) by Karen Schaler to read and review.